Our website has been designed to make your Jindabyne accommodation or snow holiday easy. 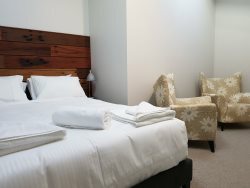 Accurate descriptions and photographs of our Jindabyne apartments whilst utilising the worlds leading reservations platform for 24/7 real time bookings gives, you control your own holiday planning. Of course you still have the advantage of talking to a consultant on our 1300 number, plus all our consultants are "Jindabyne and Snowy Mountains locals" so you will get a locals perspective with tips on your snow holiday location! Snow Escape Holidays owners have been associated with the New South Wales ski and summer destination town of Jindabyne for over 35 years. Snow Escape Holidays offers the highest standard of guest experience possible. Just look at the 300+ reviews! As our guest you can be assured that your booking is secure under our real estate trust account. Snow Escape Holidays are located right next to the Post Office in Jindabyne so we are easy to find!